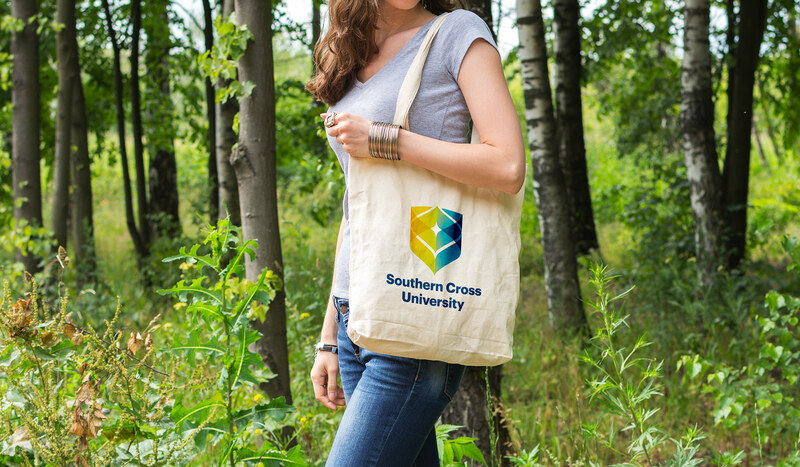 Southern Cross University is an established Australian University with three main campuses at Lismore, Coffs Harbour and Gold Coast. It is ranked as one of the Asia-Pacific’s Top 100 Universities by the Times Higher Education World University Rankings. 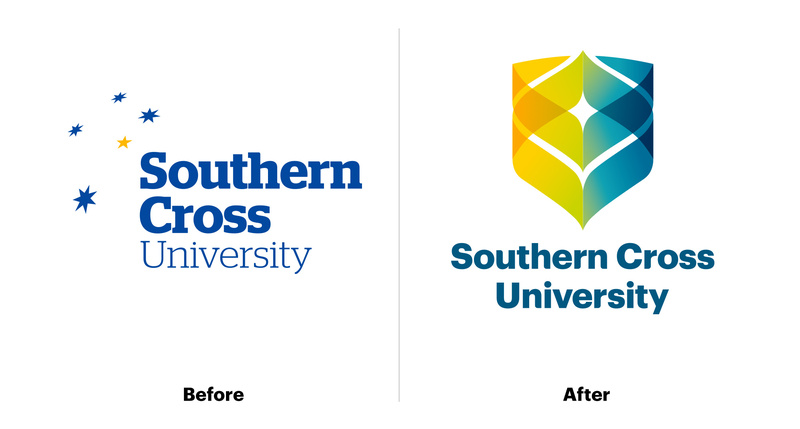 Equally the old Southern Cross constellation logo was difficult to reproduce in digital formats. 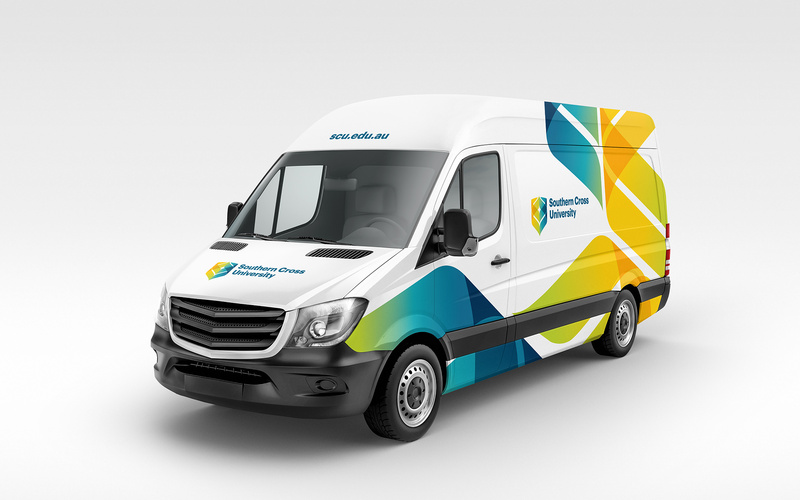 After getting to know the students, culture and the dynamic new Vice Chancellor, a solution was developed that would reflect the vibrant and progressive new strategic direction of the University. 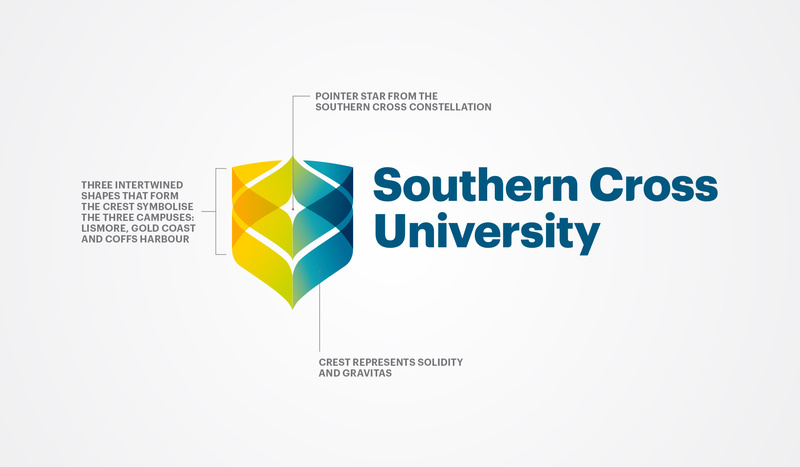 The use of the shield gives the University solidity and gravitas while the intertwined shapes represent the three campuses. 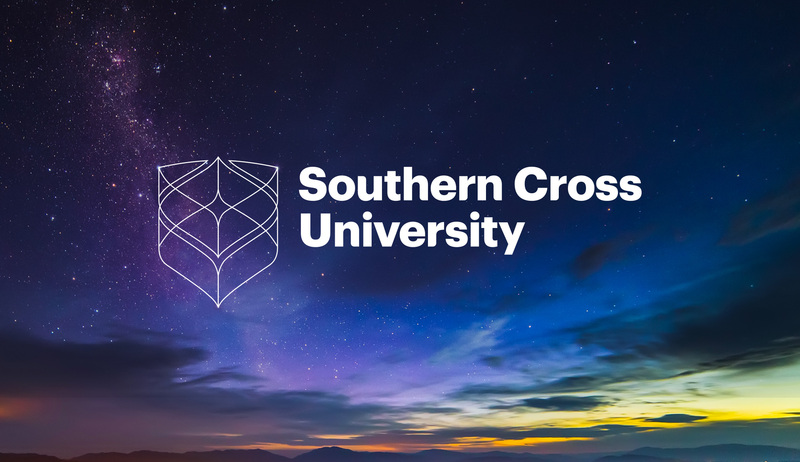 The negative space in the middle of the shield symbolises the ‘pointer’ star in the Southern Cross constellation. In the key line version, the shape of the full constellation is uniquely visible. 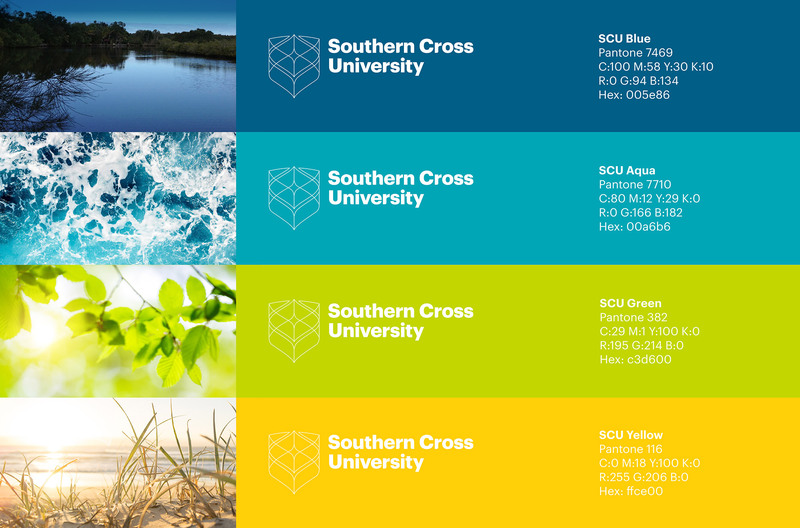 While the gold and blue colours were retained from the old brand (but updated to reflect the natural landscape of the campus regions), an aqua and green tone were also chosen to emphasise the University’s deep commitment to biological, marine and environmental research and teaching. 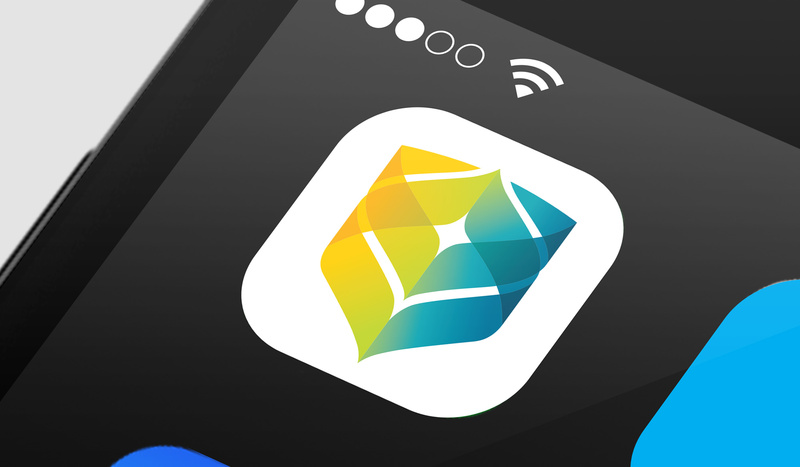 Launched at an “All Staffer” meeting, the identity received applause and support of the caucus and has received much positive feedback from staff, students and the general public. 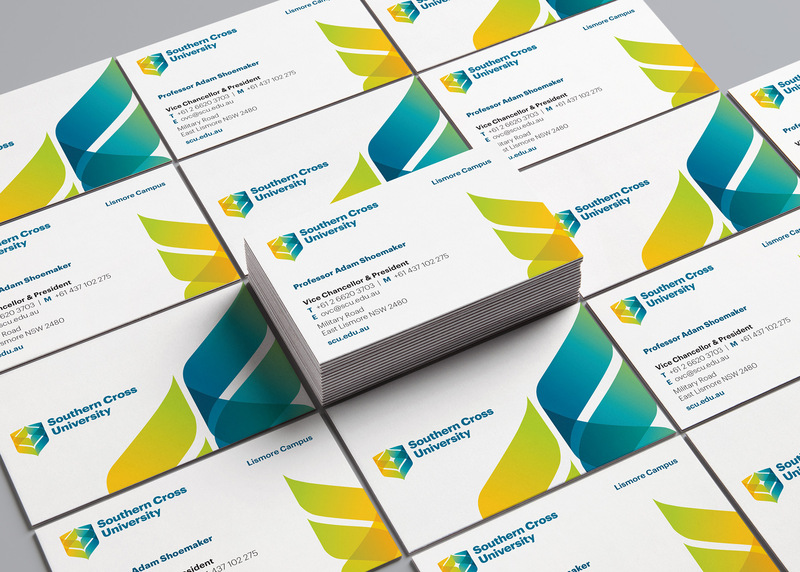 The university has proudly rebranded its’ campuses and marketing collateral. 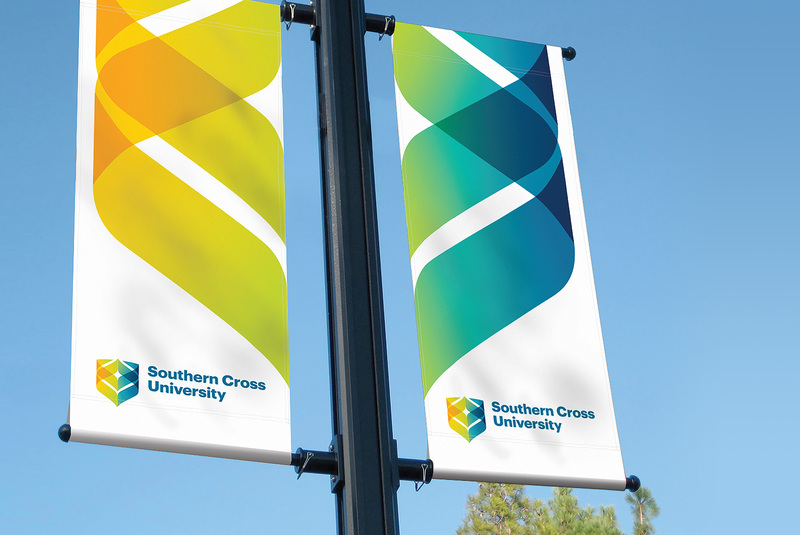 The new Southern Cross University Identity won a Silver in the International Graphis Awards for branding. 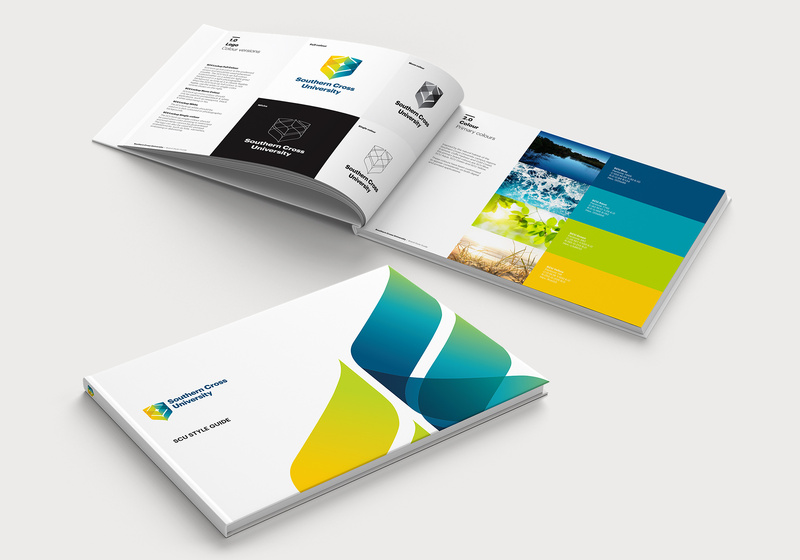 It is also featured in the Graphis Branding 7 book.